Leading Manufacturer of pink marble ripple tiles, white marble rippled tiles, khag slate wall panels, teakwood sandstone split face wall panels, teakwood sandstone sandstone wall panels and himachal white quartzite wall panels from Jaipur. We are an ISO 9001:2008 certified manufacturer & supplier of high quality Pink Marble Ripple tiles. 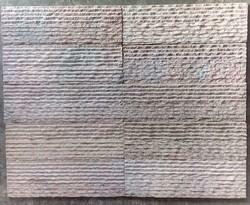 These Makrana Pink Marble Ripple tiles are very popular to decorate the interior as well as exterior walls. Our products are manufactured with the highest quality standard to cater Indian as well as international market. We are an ISO 9001:2008 certified manufacturer & supplier of high quality White Marble Ripple tiles. These rippled tiles are easy to install and require low maintenance. 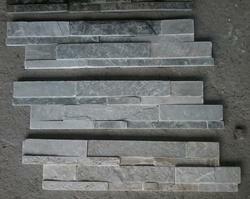 We are a highly acclaimed company that offers a wide range of Khag Slate Ledge Stone. They are long lasting and are very attractive in their appearance. Their finishing has been done with utmost accuracy that makes them highly durable. Furthermore, we are offering these items at economical rates and in different specifications as per the needs of our clients. At our factory based in Jaipur, Rajasthan, We manufacture Teakwood Sandstone Ledge Stone Wall Panels in various finishes & sizes. These wall panels are available in attractive designs, superior quality and need low maintenance and care. 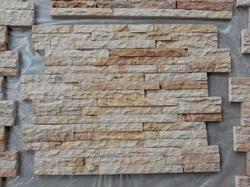 We have achieved years of experience in manufacturing & supplying Elevation Wall Cladding Tile. This Teakwood Sandblasted wall panels are available in various sizes and designs. These tiles are widely demanded by hotels, restaurants and resorts. 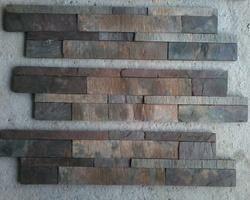 we are manufacturer of Teakwood Sandstone Ledge Stone Wall Panels in various finishes. These wall panels are easy to use and require low maintenance and care. 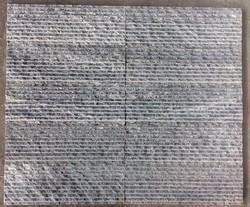 We are manufacturer of Kund Black Slate Stone Wall panels. 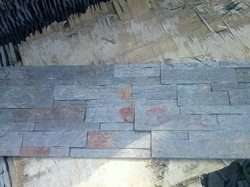 Backed by the team of experts and qualified professionals, we are engaged in offering a wide range of Kund Multicolor Slate Ledge Stone to meet the needs of our customers. Our products are well equipped and resistant to corrosion and moisture. Easy installation and durability are some of the main features of these products. Last but not the least, we are offering these products at market-leading rates. These wall panels are very attractive, easy to use and require low maintenance and care. 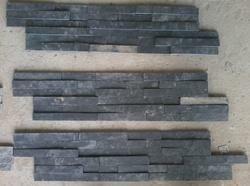 It is also known as Himachal Black Quartzite. 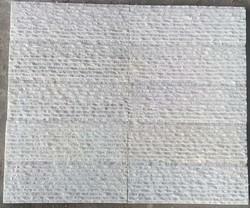 It is a hard slate stone which is resistant to stain & crack and also resistant to chemical weathering. We are an ISO 9001:2008 certified manufacturer & supplier of high quality Bhaislana Black Marble Ripple tiles. These rippled tiles are easy to install and require low maintenance.